Description This Bogart, Georgia hotel has an outdoor pool and non-smoking guest rooms. This hotel is also pet friendly. 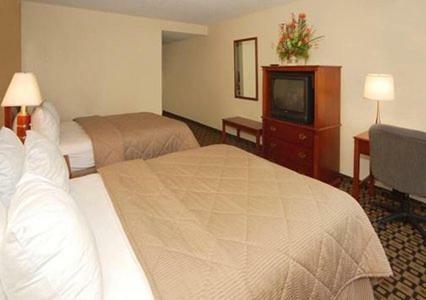 Along with the comfort of complimentary hot breakfasts and free Wi-Fi the pet-friendly Comfort Inn & Suites Athens offers a handy mall-adjacent location with temptations every which way. A four-floor interior-corridor hotel Comfort Inn & Suites is the site of 69 spacious smoking and non-smoking rooms well-equipped with free Wi-Fi refrigerators and microwaves GÇö and tasteful contemporary neutral style. The Southern hospitality starts with a complimentary hot breakfast buffet of hot waffles (and not just one flavor either) scrambled eggs bacon or sausage fresh fruit and more. Free fresh cookies and coffee provide that little pick-me-up while a dip in the outdoor seasonal pool or spin at the gym might be the ideal way to unwind after a long day. There's plenty of parking for all kinds of rigs and pets are welcome. Located on Hwy. 78 next to Georgia Square Mall the Comfort Inn & Suites puts guests squarely in the middle of restaurant and retail abundance. If getting down with nature is more your style the family-friendly Sandy Creek Nature Center a 15-minute excursion with its animal exhibits and nature trails might be just be the place. The University of Georgia campus is just as accessible. Athens-Ben Epps Airport is five miles away. 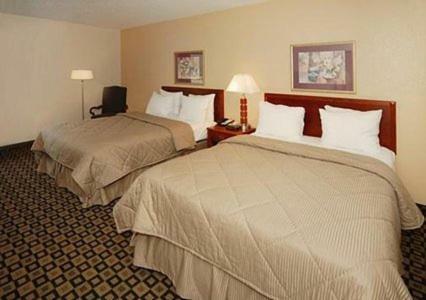 Add Comfort Inn & Suites Athens to your free online travel itinerary.